This is a magnificent portrait sculpture of a Race Horse stallion named Niger. Dubucand sculpted several horse portraits and this stallion Niger is one of his finest models. 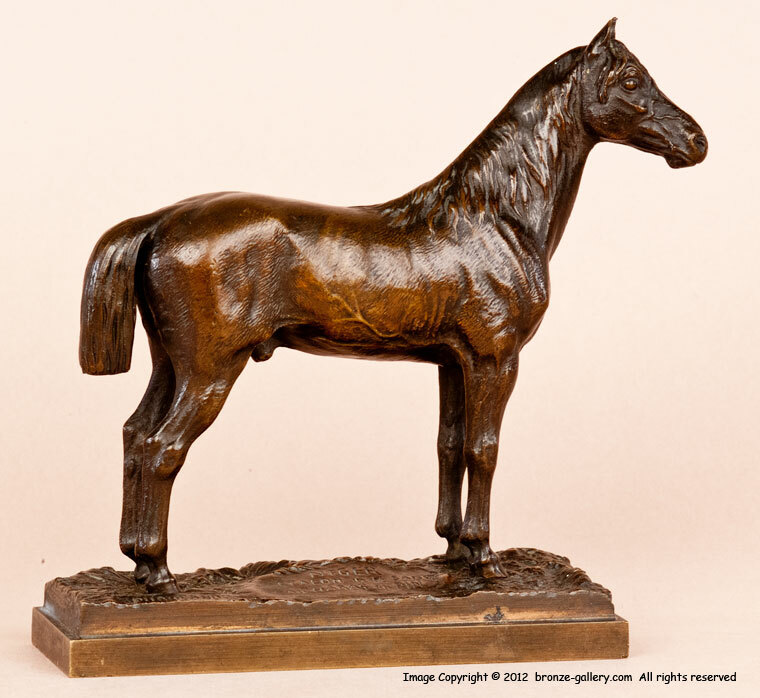 The detail captured by the artist in this miniature bronze of a beautiful stallion is breathtaking. 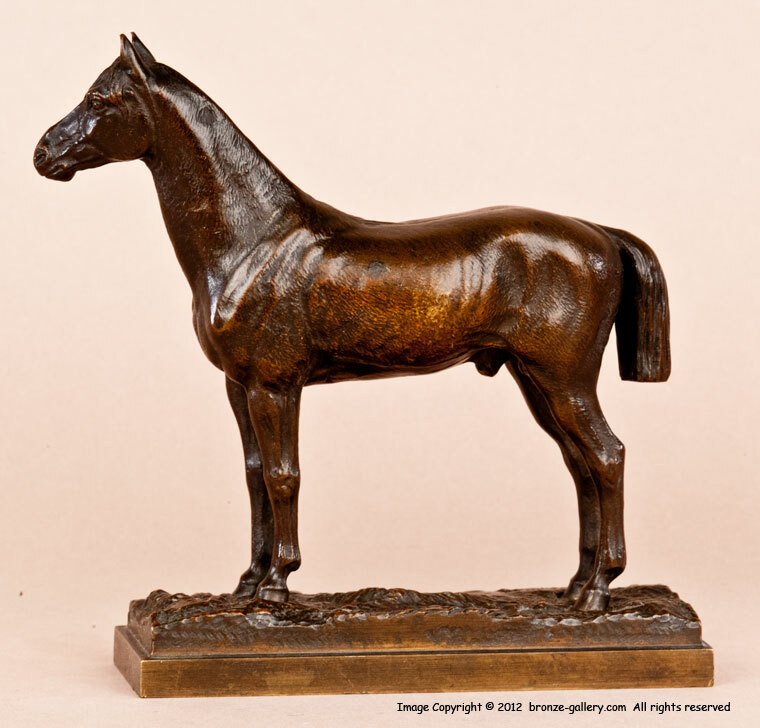 The bronze is titled "NIGER Etalon de 1/2 Sang Au Haras du Pin" on the base as well as being signed by the artist. The stallion Niger was from the French stud farm Haras du Pin which was founded in 1715 by Louis XIV and often refered to as the Versailles for Horses. This bronze makes a pair with Dubucand's other Race Horse stallion Kaolin, both models were also done in two larger sizes. If you were to only have one example of this superb 19th century French sculptor you could do no better than this model. It is expertly cast and finished in a warm brown patina.